Multiplex TV is 24X7 Hindi movie channel, which has launched in June 2015. Although this channel broadcasting EPG "Vision TV Shiksha". Although the channel is already free-to-air from SES8 satellite. Multiplex TV was added on TV Test 513, but now this channel has been removed because it is not won slot on 35th eauction completed on 25th May 2017. Well, addition of new channels on DD Free dish platform, it is totally depends of e-auctions. 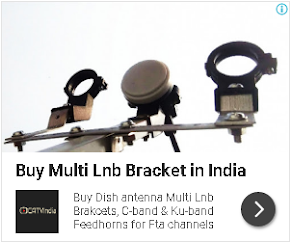 In Free Dish 35th e-auction English National News channel added at place of Multiplex Movies. For more updates of DD Free Dish, keep visit us and give your feedbacks via comment section.